During the past few years we have seen a huge growth in fitness tracking apps and devices largely started by smart phone technology. The past couple of years have seen this trend move from the smart phone and onto wristbands dedicated to tracking your performance. Using these types of devices is certainly not new in the grand scheme of things, an example being the first heart rate monitor that was made wireless over 20 years ago. The latest trend of fitness wristbands made mainly of silicone is effectively driven my modern smart phone technology with the wearer in some cases being able to pair the tracking bracelet with their iPhone. 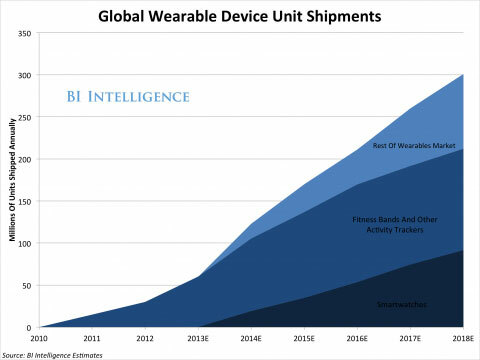 Back in 2012, the overall market for wearable tech which takes into account everything from hearing aids to wristband pedometers totaled globally around $9 billion. For 2018 it is estimated rise to an astronomical $30 billion. These numbers are provided by analyst Shane Walker at IHS Global Insights. Percentages banded about are a 10% rise in overall use by 2017 for wrist worn fitness tracking devices plus an incredible increase of 25% in the market use of activity tracking devices. The UK market is predicted to grow by a fairly substantial portion of the overall amount. 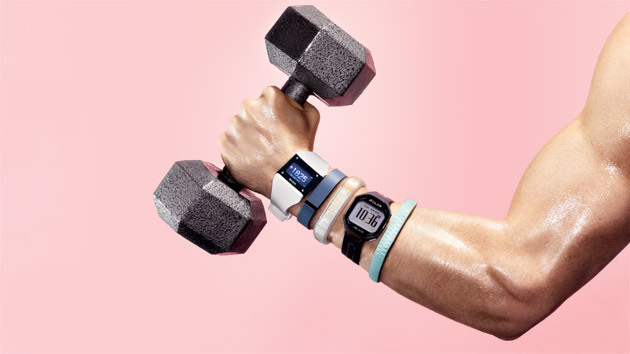 Fitness Wristbands and the Rise of the Algorithm. Modern technology has seen the rise of analytic algorithms that can crunch huge volumes of data parameters and provide unique and personal insights into the bracelet wearer’s fitness. Brands such as Motorola, Nike & Adidas have taken interest in the market along with a plethora of independent manufacturers some of which are listed below. Although this trend has seen a lot of interest with some from large fitness brands some researchers have already predicted the inevitable demise of fitness wristbands. Surveys conducted by industry analysts reveal a different story. Smartphone users were asked a series of questions about dedicated activity tracking bracelets who expressed a high interest in a ‘dedicated’ device as opposed to consolidating the functions to their smartphone. Life expectancy of activity wristbands is around 2-3 years which means there’s plenty of scope for new makes and models of wristbands to be introduced into the market so expect to see them everywhere in the UK pretty soon.